In ancient China, the emperors regarded Royal Jelly so highly that beehives were kept solely for the extraction of Queen Bee food, Royal Jelly – rather than for honey. 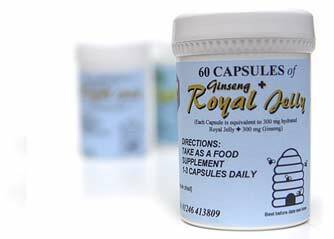 Royal Jelly is unique in that it cannot be produced artificially and is given to the Queen Bee throughout her life. A pot of 60 capsules will last 2 – 3 weeks, with a daily intake of 3 capsules.